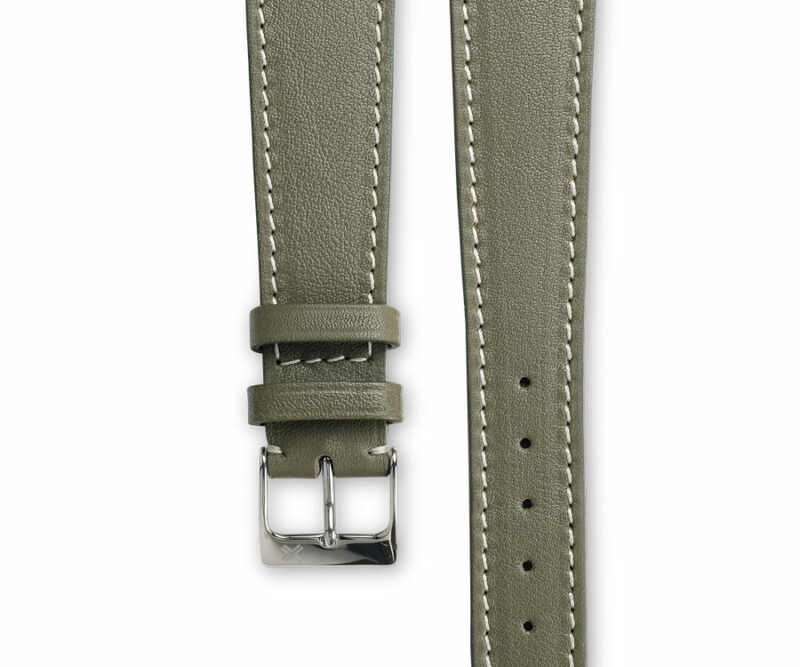 Khaki green with tone on tone stitching. 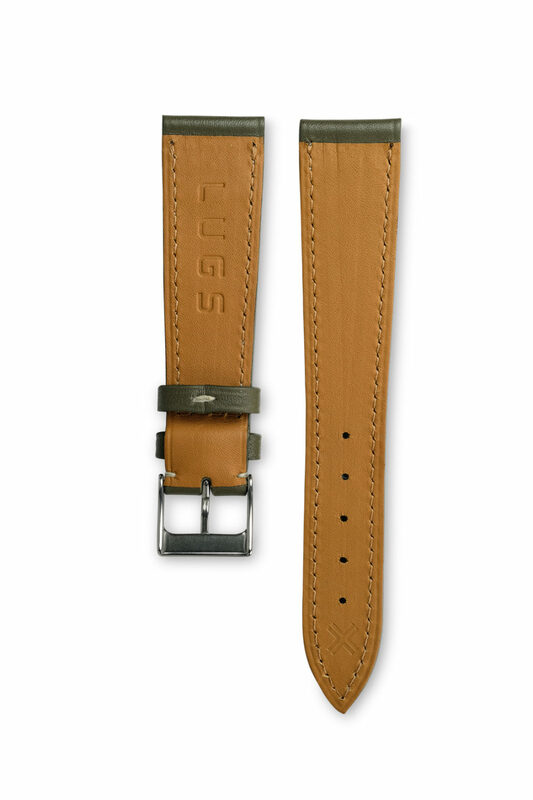 Also available in cream stitching to add a touch of sporty personality to this strap. This Classic Khaki Green color version bring a real touch of originality. 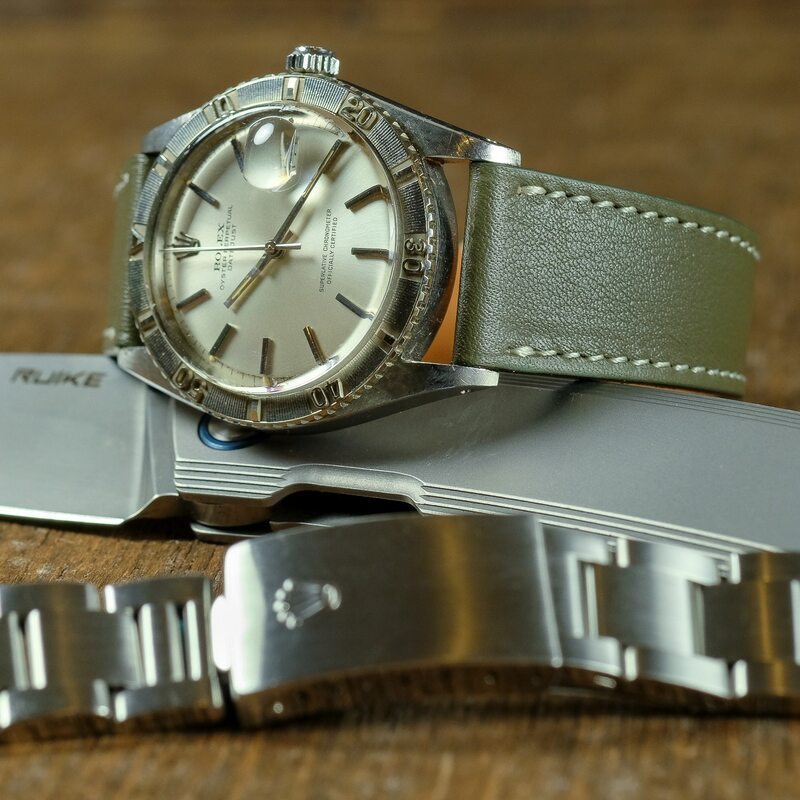 It can really transform any watch into a very stylish combo. Black dial watches will find there a more military style while whiter dials watches will be modernized by this very subtle Khaki Green. 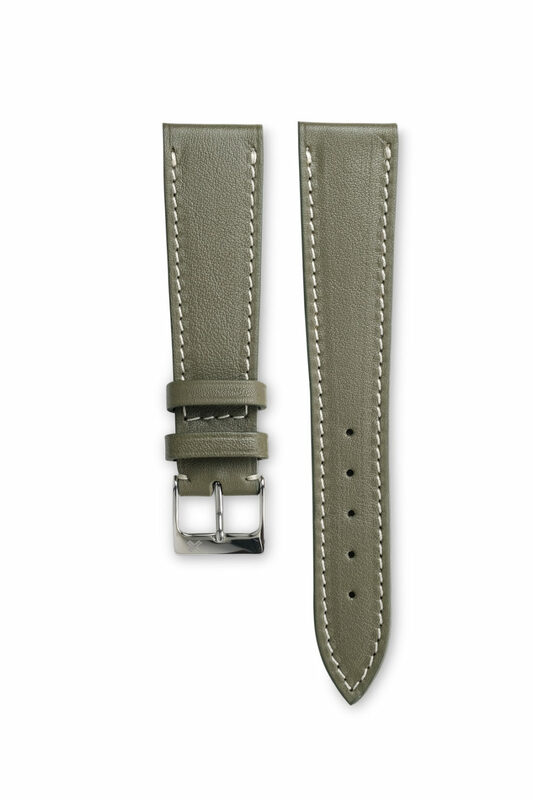 Contrasted white cream stitching color give a sporty touch to this great strap! 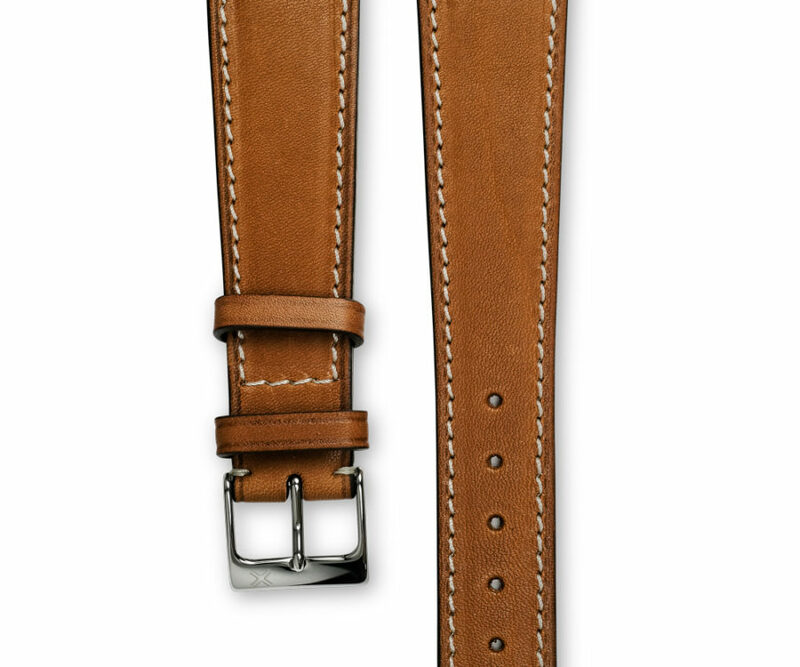 Also discover the same model of watch strap with tone-on-tone stitching for a even more classic style.